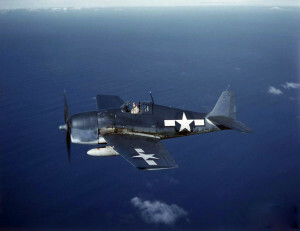 At approximately 10:30 p.m. on the night of June 12, 1944, an Ensign was landing an F6F-3 Hellcat, (Bu. No. 42489), at the Naval Auxiliary Air Field in Ayer, Massachusetts, when one of the brakes failed upon touchdown. The right brake was weak, but the left one held, causing the aircraft to ground loop off the runway. The Hellcat suffered minor damage, and the pilot received minor injuries.